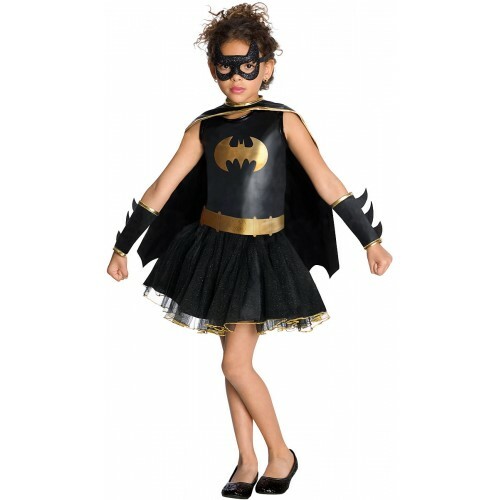 One of our best selling lines are our licensed Superhero costumes by Rubies, one of the world’s leading fancy dress manufacturers. So we thought we’d compile a little factfile that hopefully you will find interesting! Not just for men, these outfits come in all sizes and sexes and we have included a few photos of the lines we offer below. Enemies: The Joker, Riddler, Two Face, Ra’s al Ghul, Scarecrow, Poison Ivy and Catwoman to name a few! Equipment: Utility belt, batarang and of course, the legendary Batmobile. Enemies: Chameleon, Vulture, Doctor Octopus, Sandman, Scorpion, Rhino, Kingpin, Hobgoblin, the Shocker to name a few! Super powers: Spiderman has the ability to cling to walls, superhuman strength, A “spider sense”, perfect balance, speed and he is able to shoot spiderwebs from his wrists. Super powers: Flight, Super strength, invulnerability, super speed, x ray vision, super hearing, breath and intelligance!! Enemies: Mandarin, Crimson Dynamo, Iron Monger, Justin Hammer. 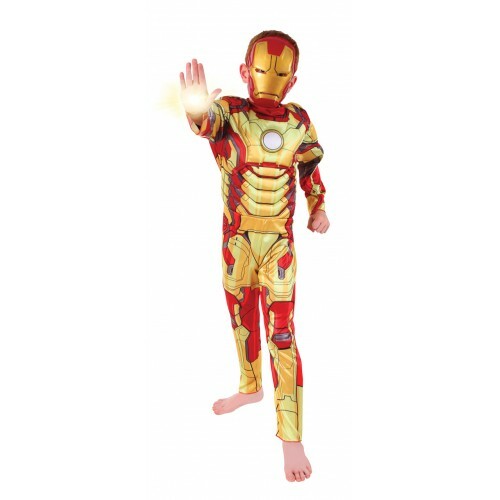 Super powers: Iron Man is regarded as one of the most intelligent character in the Marvel universe. Enemies: The Rogues: Captain Cold, Mirror Master, Pied Piper, The Trickster, Double Down and Heat Wave. 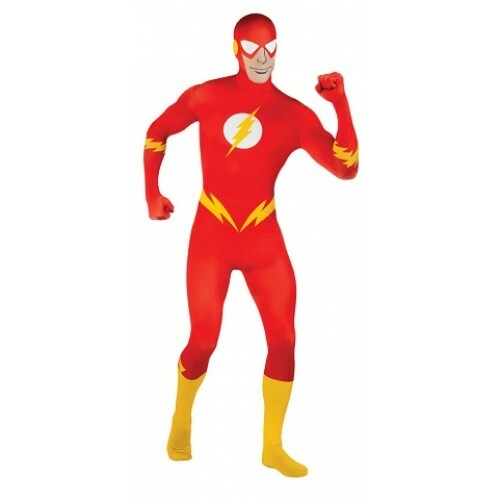 Super powers: Flash can move, think and react at light speed and can run incredible distances. In later versions, he can vibrate so fast that he passes through walls (quantum tunnelling). He can travel through time and borrow speed. Enemies: Red Skull, Baron Zemo, Crossbones, Doctor Faustus, AIM, Arnim Zola, Flag Smasher. Super powers: He has no superhuman powers, however, through Vita-Ray treatment he has transformed and his strength, edurance and speed are at the highest end of the human ability. Equipment: Shields, his fire retardant uniform, under which he wears a bulletproof armour and his custom made motorcycle. 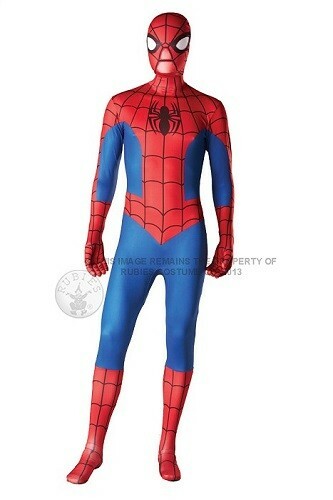 Now I don’t know about you, but I think my favourite out of the above has to be Spiderman. Mainly because he has a bit of a “relateable” story behind him. The troubled teen if you like, the self obsession with rejection, inadequacy and loneliness. Using his feelings and channelling them into a positive power has to make him one of the ultimate role models for youngsters these days. Not to mention being able to do the spider web thing – how much fun could you have with that!!!!! !